Pope Francis stressed protecting children from dangers on the internet was top priority while addressing “Child Dignity in the Digital World,” this morning, Oct. 6, 2017.” The Congress was organized by Rome’s Pontifical Gregorian University’s Center for the Protection of Minors, and held at the Gregorian, Oct. 3-6, 2017. Its objective was to highlight the dangers of the Internet and to foster action to protect children and young people. 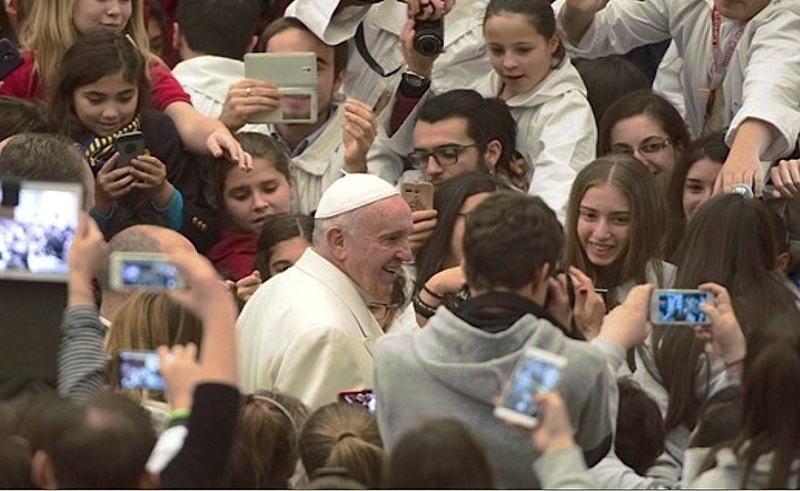 In his discourse, the Pope said he firmly supports the commitments the Congress participants have undertaken to help protect minors and reaffirmed the importance of the participants signing a declaration of commitment at the end of the conference. 13 – To governments, private industry and religious institutions to undertake a global awareness initiative to make citizens in every country more alert and aware regarding the abuse and sexual exploitation of children, and to encourage them to report such abuse or exploitation to appropriate authorities if they see it, know about it or suspect it.